Customisable trailers for mobile workshop, retail, catering and exhibition units. 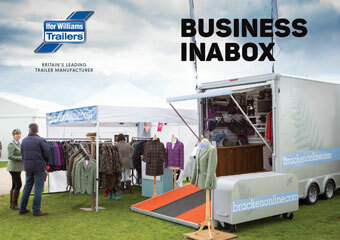 Interested in an Ifor Williams Business Inabox? Give us a call today on 01832 272218, or email us at sales@barnwelltrailers.co.uk - we'll be happy to help!